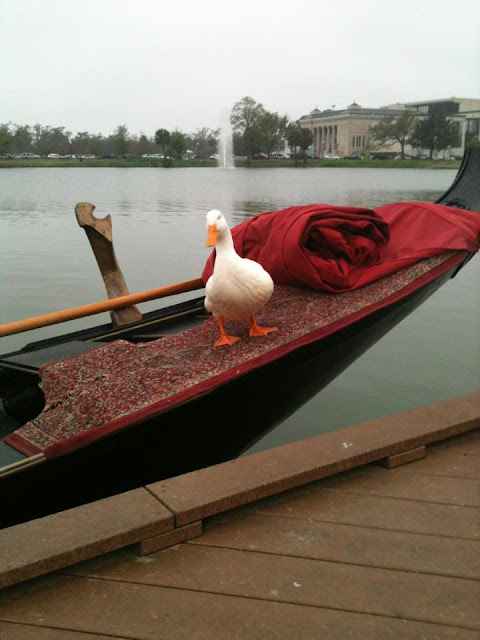 It's probably a publicity shot for an upcoming Disney flick "The enchanted gondolier" a.k.a. "The princess and the duck". If a rat can become a celebrity chef, why not a duck pope?